Hello everyone and happy Autumn! I can't believe Autumn is finally upon us! How exciting? I'm sorry for the recent absence on here and on my social media. Things have been a little crazy for me lately and I hate to miss posts. So I'm going to try my best to upload as often as possible! Anyways, today I wanted to share with you a few items I got to start off Fall. 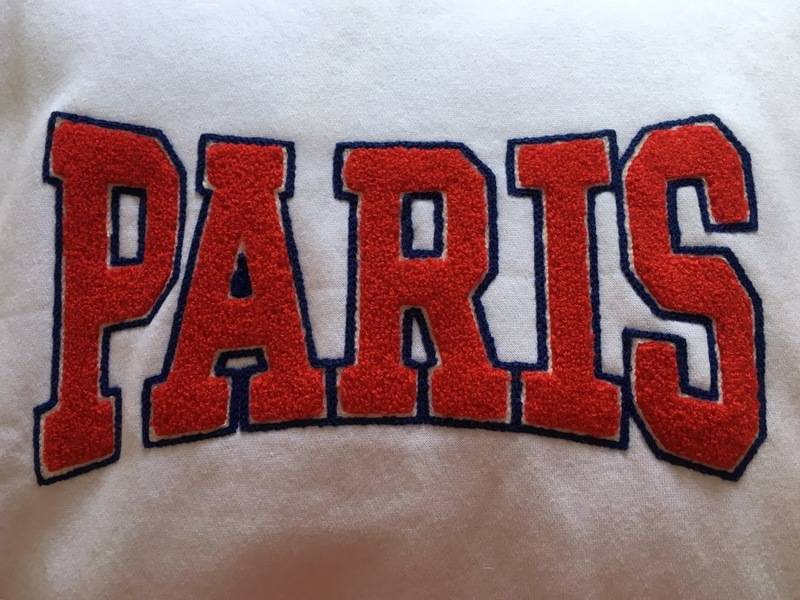 The first item I got was this Paris sweatshirt. When I first saw this online I immediately knew I needed it in my life. I'm obsessed with fuzzy red material on the word Paris which is bordered with dark blue, it feels so incredibly soft. 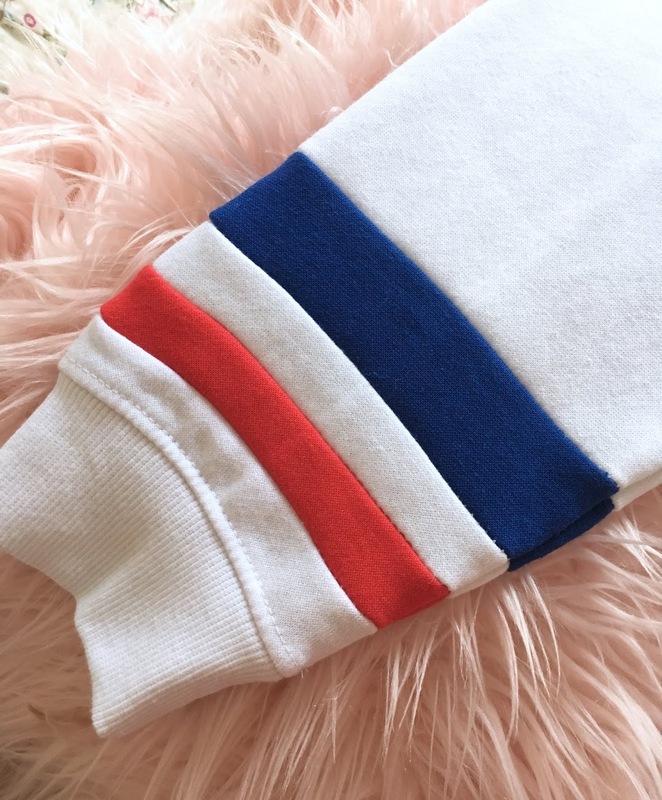 The sleeves have red, white, and blue cuffing the wrists of the sweatshirt. I love this added touch. It perfectly completes such a simple yet adorable sweatshirt. 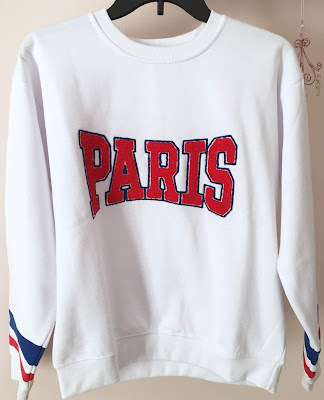 I got another sweatshirt because they're just so easy to throw on in Autumn. They're so comfortable and keep you so warm. 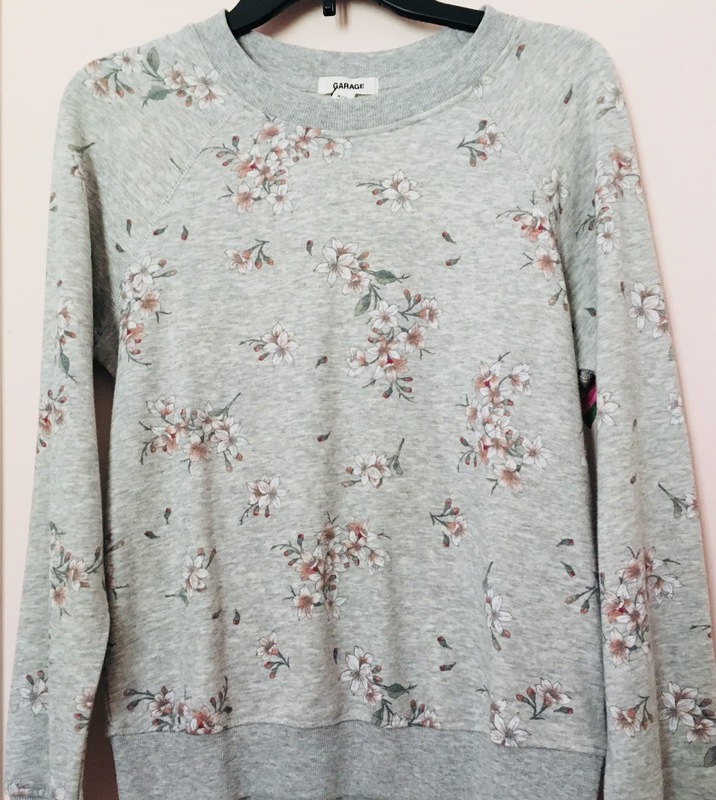 I got this floral sweatshirt from Garage as well. I love the pattern of this. 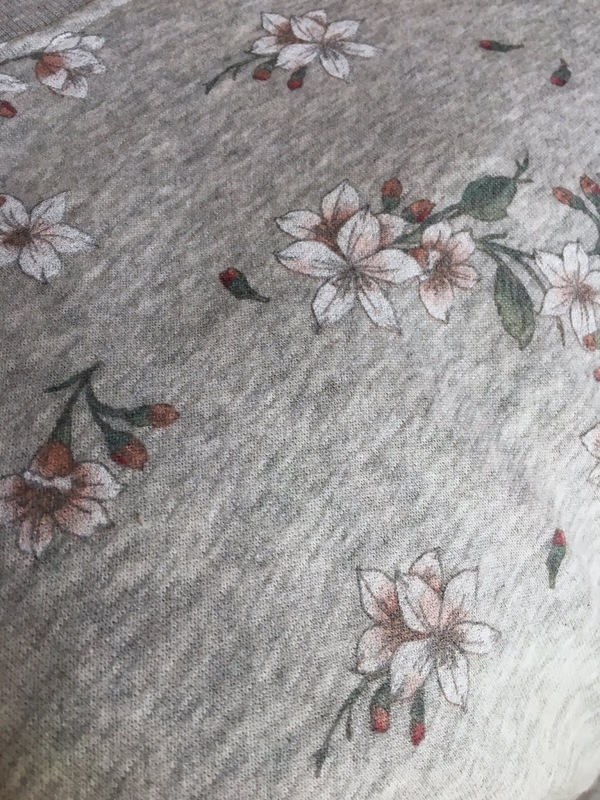 As you guys know I have a floral pattern obsession and wear florals all year round. This sweatshirt has the prettiest floral print but is still wearable this season because of how subtle the colors are and the flowers don't look particularly Summery. They look like Autumnal flowers! 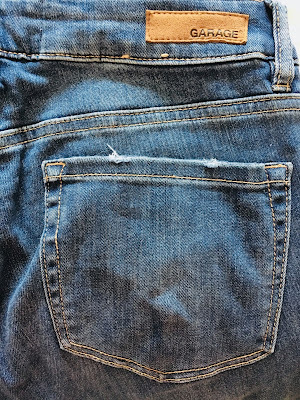 The last clothing piece I got were these denim jeans. They are mid-rise which is a bit different from the high-waisted jeans I usually get. 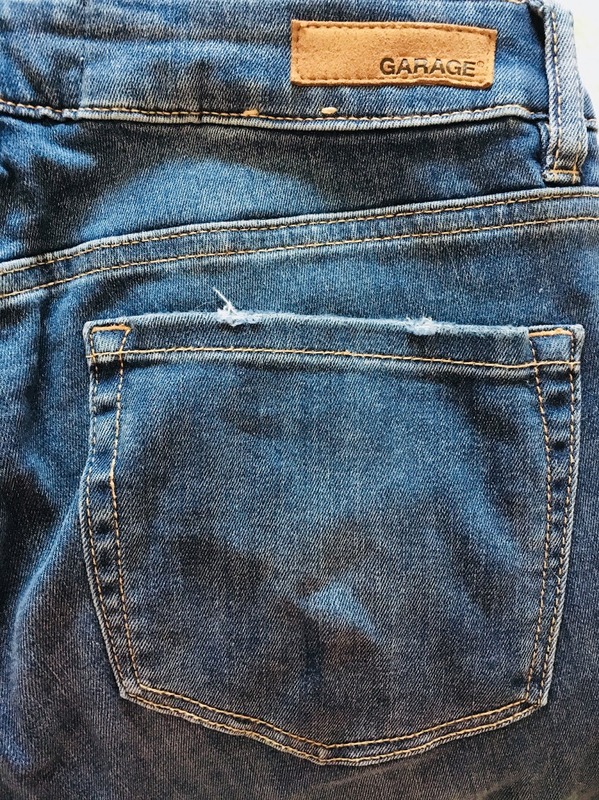 These still come up quite high on me around my belly button because I have a small waist and am more petite. 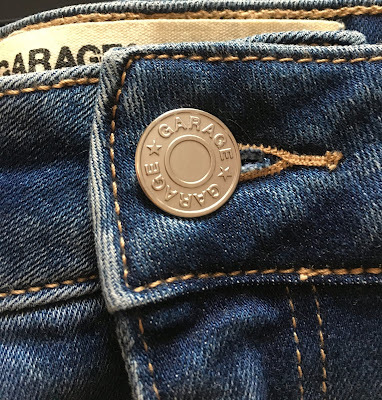 I do wear a belt with these as I said because I have a smaller waist. These are so comfortable which is amazing because I find most jeans aren't. 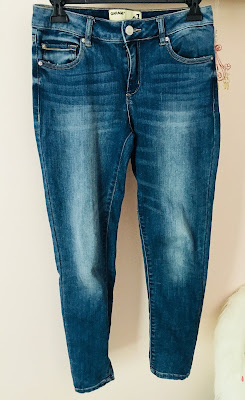 I adore the color of these jeans they're the perfect blue. It's very understated and goes with any top and or pair of shoes. Speaking of shoes I picked up two pairs. What can I say I'm a shoe fanatic! The first pair I got were these pink Vans. 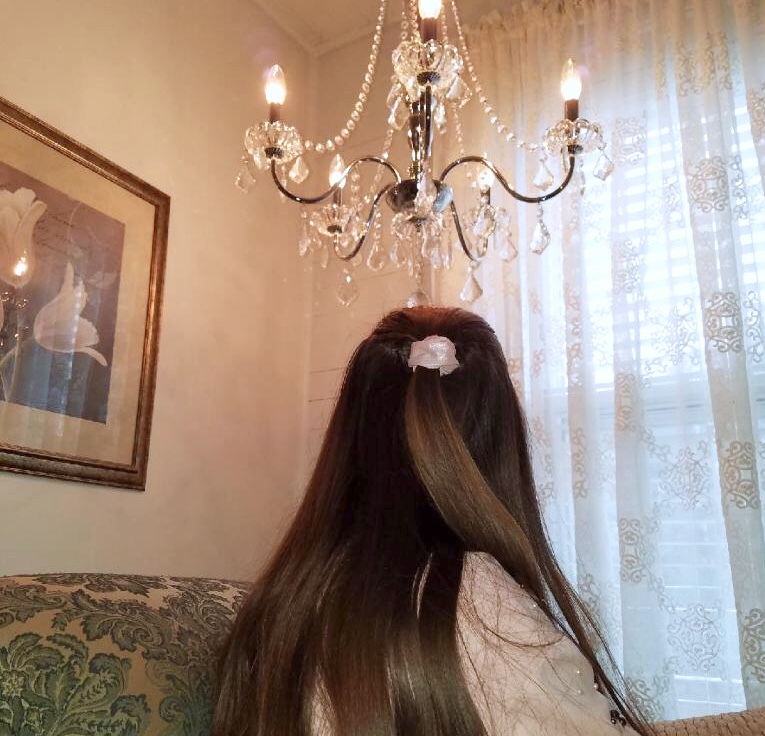 Would it even be a Southern Belle Forever post without something pink in it? 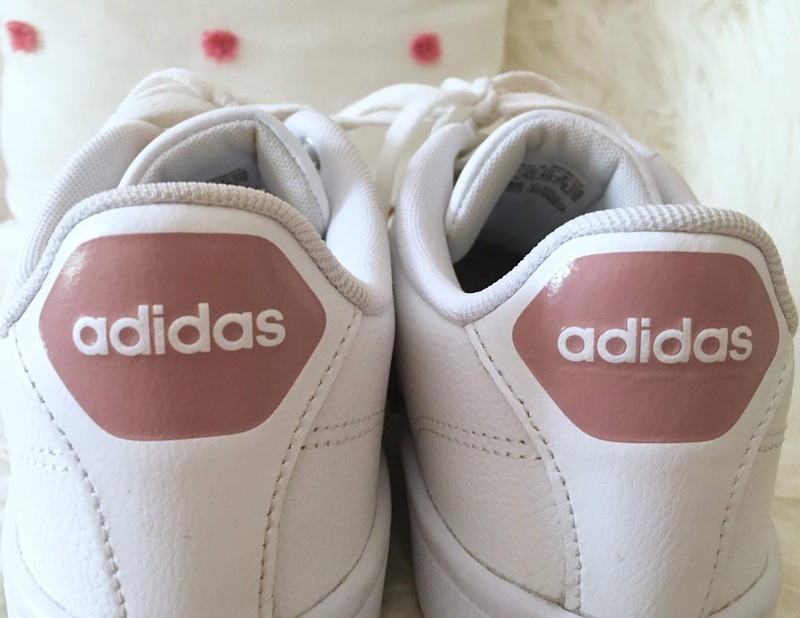 I adore this shade of pink. 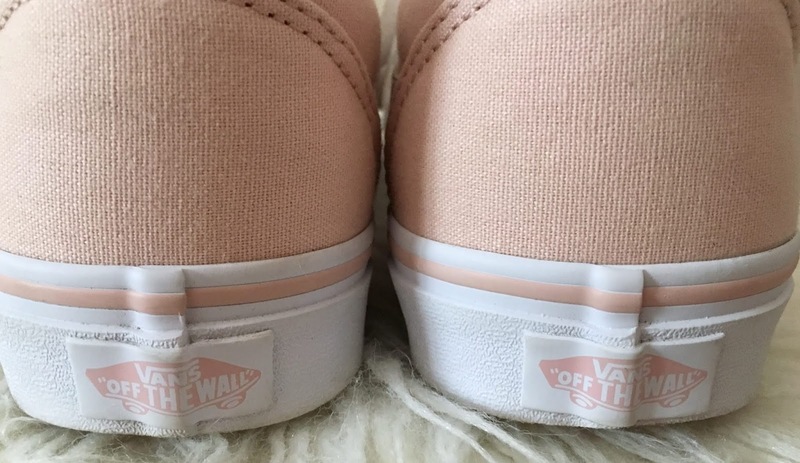 It's such a gorgeous pastel color and goes with almost everything. It can be a little tricky to pair with some outfits especially if they are mainly darker shades. 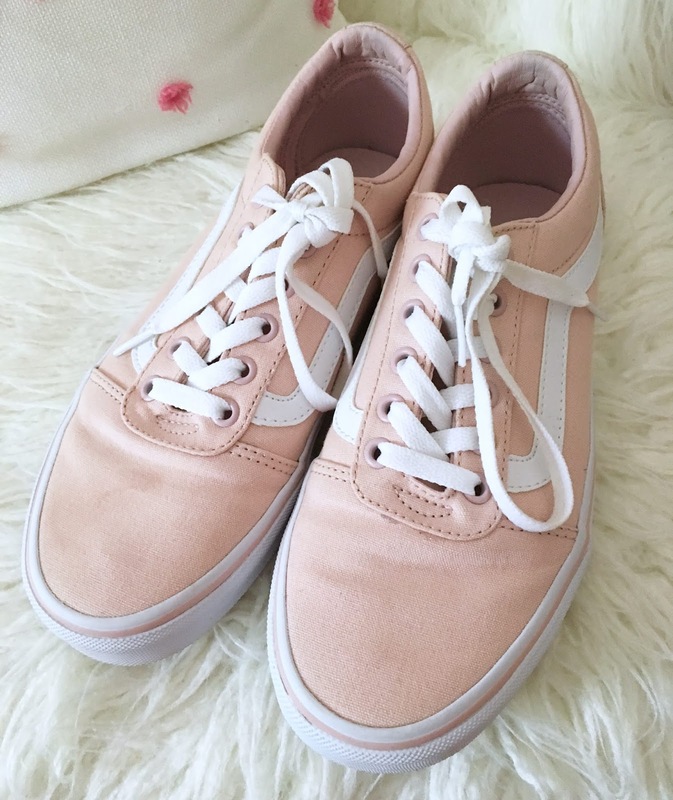 These also come with pink and white shoe laces so you can switch up the laces depending on what you want. 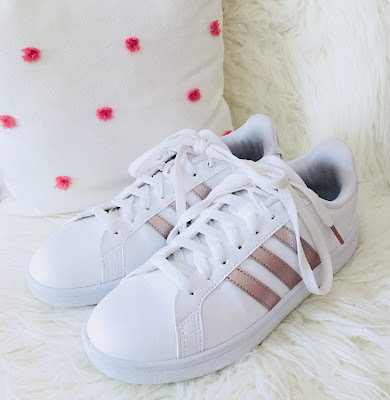 They are the prettiest pair of tennis shoes ever! They bring extra joy into my day when I wear these! The last pair of shoes I got was this gem. Now you've seen everyone wear these Adidas tennis shoes in black but have you seen rose gold? 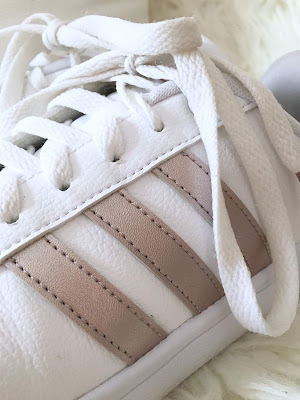 These are the Adidas Cloadfoam Advantage Rose Gold Shoes. These not only look amazing but they feel amazing because of the cloudfoam. It feels exactly how you think cloudfoam would feel very soft and plushy. I just love the sound of it! These shoes look so simple and don't overpower a look. They make your feet look so small and petite unlike other tennis shoes. 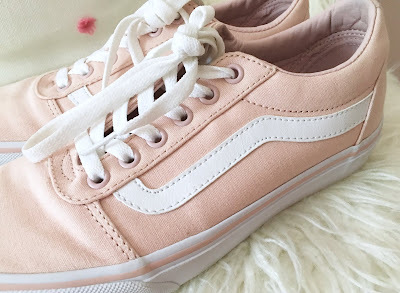 I'm in love with these shoes and I'm so happy I got them in rose gold! Let me know in the comments below what you've bought so far to start off Fall. I would love to know! I'll see you next week with another post! WOW obsessed with those rose gold Adidas!! 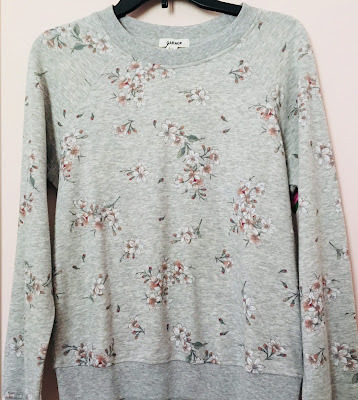 The floral sweatshirt is so pretty. 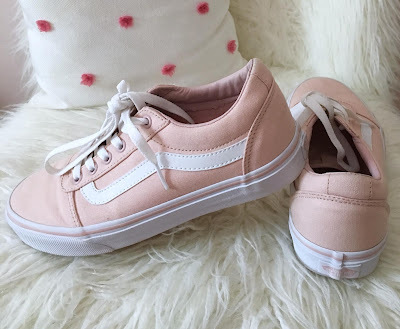 And the pink Vans *o* I guess they would be fully black if I would try wear shoes like that during autumn but for spring or summer - they are ideal! I'm yet to do my shopping but you have some great picks there!